State decishttp://nd-Practice-Innovations.pdfon-makers around the country have developed innovative policy and practice solutions to better help the criminal justice and health systems to work together to improve health care access to justice-involved people. This compilation of state innovations, including state laws, regulations and policy guidance, includes links to the actual policies and practice documents. This policy brief provides foundational information about how waivers operate as a part of the Medicaid program, details the attributes of different types of Medicaid waivers, and describes and provides links to recently approved Medicaid waivers important the criminal justice population. This policy brief details recent developments at the federal level to improve access to residential substance use disorder care and provides descriptions of and links to recently CMS-approved Medicaid state waivers of the IMD exclusion. The final rule governing how the Medicaid program must comply with the Parity Act became effective in October 2017. This policy brief summarizes the requirements of the Parity Act for Medicaid coverage and identifies ways the law can be leveraged to improve coverage of mental health and substance use disorder care. In April 2016, the Centers for Medicare and Medicaid Services released guidance about when and how health insurance eligibility screening and enrollment can occur for justice-involved people and when matching federal Medicaid funds are available to states and localities. This brief summarizes key points from this guidance. Why is health reform important to the criminal justice system? Untreated addictions and mental health disorders are common among the justice population. They contribute to crime and recidivism. Prior to health care reform, most of the justice population lacked health coverage to treat these health needs because they could not afford private insurance and were not eligible for Medicaid or other public coverage. Under the Affordable Care Act, that entire landscape has shifted, especially in states that have expanded Medicaid eligibility. Now, almost all individuals leaving jails and prisons or serving a term of parole or probation in the community will be eligible to receive Medicaid benefits or purchase quality health coverage that is affordable based on their income. Furthermore, although exact coverage details will vary, these plans will cover needed addiction and mental health treatment similarly to how they cover treatments for other health issues. This presents an extraordinary and unprecedented opportunity in both health and criminal justice to provide life-saving and life-changing addiction and mental health treatment and other health services to a large population of individuals who have previously lacked access to such care. This opportunity will lead to improvements in health and well-being for justice-involved people while increasing public safety by reducing the risk of recidivism. 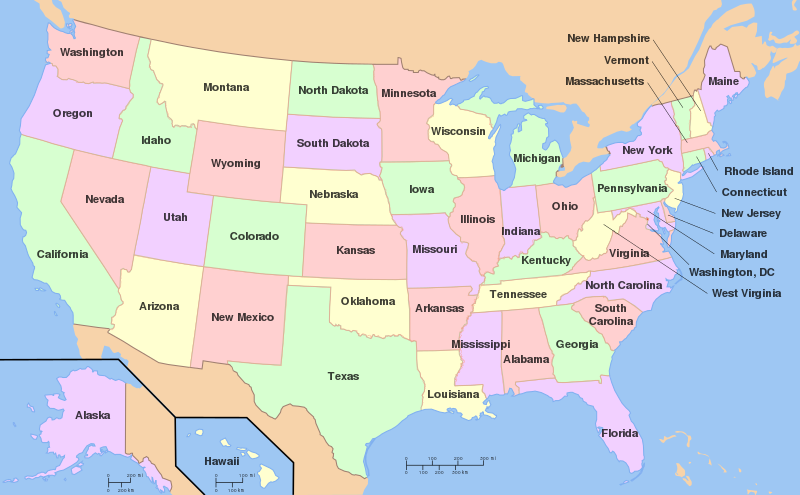 How will this map of state health information be helpful to me? The information is intended to be particularly useful to criminal justice practitioners who want to learn more about how they can work with the health system in their state and help people under their control or supervision obtain healthcare and coverage. However, anyone can use this map to find out about key agencies, contacts, and policies in the health system in their state. The U.S. Department of Justice, Bureau of Justice Assistance (BJA) is partnering with Legal Action Center (LAC), Advocates for Human Potential and TASC, Illinois to provide technical assistance to justice and health professionals and share information about innovative strategies to increase health care access and improve public safety and health outcomes. This map and the state profiles it links to were created as part of this project.